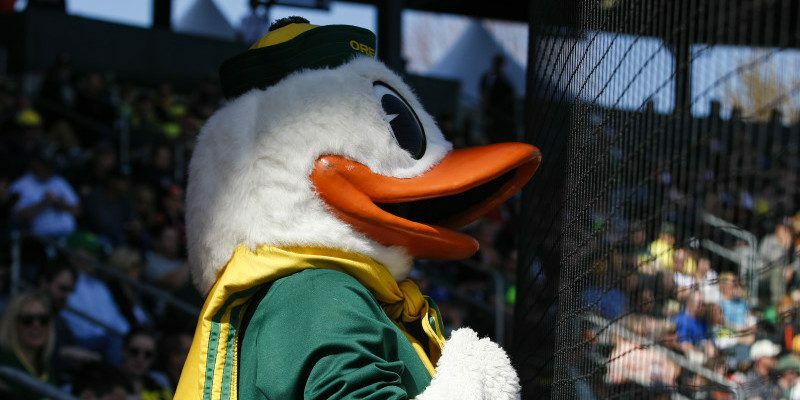 The Oregon baseball team is fighting for their lives with 12 games left to play in the regular season. As Oregon fans, we are accustomed to seeing our teams not only reach the postseason but also be major contenders to take a title. Since the beginning of his coaching career in 1985, Horton has only been a part of three teams that have not made the playoffs. Those high expectations loomed large over head coach George Horton and his team as they had won 40+ games in four of his previous six seasons. 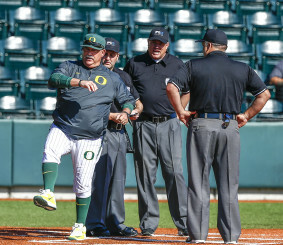 This year the Ducks will fall short of that mark, but they have not yet been mathematically eliminated from a chance to play in Omaha for a College World Series title. In order to make that appearance possible, however, the Ducks are faced with the task of running the table to end the season. The corner Oregon is painted into is unfamiliar territory for Horton as he told reporters on Wednesday. “It’s a different feeling, it’s an uphill feeling,” he explained when asked about the difference between playing for seeding as opposed to playing just to play. Now, Ducks fans, is your chance to help Horton as the diamond Ducks make their fifth post-season appearance since the program was reintroduced in 2009. 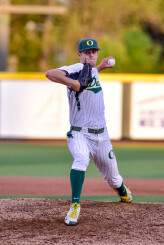 PK Park enjoyed its biggest turnout of the season last Saturday, with fans filtering in after the Spring Game, resulting in 3,033 fans enjoying a thrilling contest in which the Ducks toppled the Huskies 4-3. The energy in a park filled with 3,000+ fans definitely gave Oregon a boost after suffering a 10-4 defeat the night before. It is important for us, as fans, to never underestimate the power that the home team can generate from the grandstands’ deafening roars and Matthew Knight Arena drowns visitors in a sea of yellow and green. “Home field advantage” is so much more than a catchy phrase. Cole Irvin loves the atmosphere of a big crowd. Oregon is traveling to Pullman this weekend for a three-game series with Washington State (25-21, 8-13 Pac-12) and will return to Eugene for a mid-week match up with Gonzaga on May 12 and 13. If you haven’t taken your child out to see a game, please do so — it’s never too late.